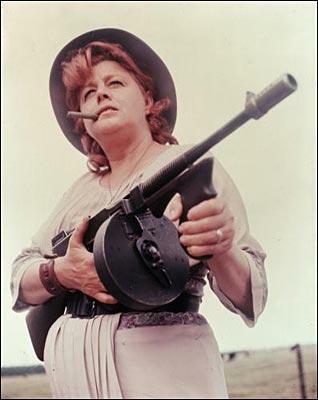 Stop for a moment, and imagine Ma Barker. Is she waving a Tommy gun, chawing a cigar, and plotting a bank robbery? Is she brow-beating her weak-willed criminal sons, and generally being a role model for overbearing mothers everywhere? We thought so. Well, you have two people to thank for that wildly inaccurate image: FBI founder J. Edgar Hoover, who had some serious mother issues of his own; and St. Louis-born actress Shelley Winters, who starred in the 1970s B-movie classic Bloody Mama. The real Ma Barker was born Arizona Clark in 1873, and raised just outside of Ash Grove, Missouri. When Arizona was 18, she married George Barker. The couple had four sons, and nary an altar boy among them. By 1928, Lloyd Barker was serving time for mail theft, Fred Barker was in prison for bank robbery, “Doc” Barker was locked up for murder, and Herman Barker had killed himself to avoid police capture. It was around this time that George and Arizona decided to divide up the “parent of the year” awards and go their separate ways. Arizona soon went to live in Thayer, Missouri with her recently-released son Fred and his friend, “Creepy” Karpis. Remember all those high school friends that your mother hated? Remember how none of them were actually named “Creepy”? Ma Barker didn’t so much as bat an eyelash. Coolest. Mom. Ever. In December of 1931, Fred and Creepy pulled off a daring robbery in West Plains, Missouri. The two men stole more than fifty neckties, and an unspecified number of gloves, socks, and sweaters. Needless to say, their haberdashery heist wasn’t exactly one for the annals of crime. History probably would have skipped it over, had Fred not panicked and shot the sheriff two days later. The men fled to Minnesota, with Ma in tow. 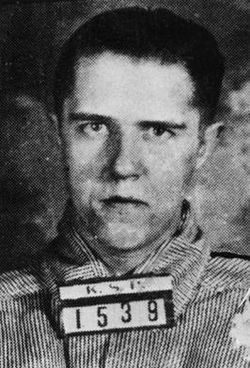 Over the next couple years, the Barker-Karpis Gang would terrorize the whole Midwest, robbing at least five banks and kidnapping and ransoming two wealthy men. Doc Barker, fresh out of prison, joined up with Fred and Creepy at the head of a gang that, at one time, had as many as twenty-five members. They moved from hideout to hideout, state to state, with law enforcement always close at their heels. 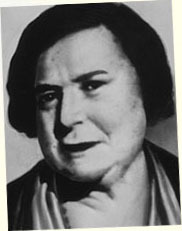 Ma Barker went on the lam right along with them. People didn’t know what to make of her, and the rumor began to spread that she was the true brains behind the outfit. J. Edgar Hoover, who loved publicity, actively promoted the matriarchal mastermind angle, though there was probably no truth to it at all. Even Creepy himself defended Ma’s honor, later stating, “We’d leave her at home when we were arranging a job, or we’d send her to a movie. Ma saw a lot of movies.” Another gang member was more blunt: “The old woman couldn’t plan breakfast.” Nonetheless, the legend grew, even as the FBI’s net around the gang tightened. In 1934, the gang began to split up and go into hiding. Ma and Fred Barker holed up in a lake house near Oklawaha, Florida. On January 16, 1935, federal agents surrounded the house. Fred refused to surrender. Forty-five minutes and 1,500 bullets later, Ma and Fred were both dead. Hoover, perhaps a tiny bit embarrassed about gunning down a 62 year-old woman, later told the press that Ma had been found clutching a 100-round Thompson submachine gun. And the rest is pop culture history. Arizona Barker’s childhood farm (and likely birthplace) in Ash Grove, Mo., now part of Stanton Dairy Farms. The only building left from the 1870s is probably the adjacent New Site School. There is a mural depicting the shooting of Howell County Sheriff C. Roy Kelly in the Howell County Courthouse in West Plains, Mo. We’ve had no luck locating the Barker hideout near Thayer, Mo. Can anyone help? UPDATE: David Burton, of the Ozark Country School Association, tells us that though the school was founded in 1876, the New Site school building next to Arizona Barker’s farm in Ash Grove wasn’t built until about 1905.
very informative. have you thought of producing some of these for the history channel or some such show? your writing style would lend it’self well to tv i think. Really enjoyed this very informative piece about Ma. It is nice to have some of the hype that spun her reputation addressed and dispelled. I do have an idea actually about where the farm in Thayer is located. My great grandpa rented the farm out!